A camera is the most important piece of kit for YouTubers. Using your smartphone camera to shoot videos is not ideal. The low quality output and lack of other umpteen features like autofocus and image stabilization. Take the top 30 YouTubers (by revenue or number of subscribers) and compare their camera models. It will be clear that “a certain few models” are used by the majority of them. So lets see if you can spot the common factor. Note: Clicking on images and red boxes will open a new tab with the price and customer reviews on Amazon. 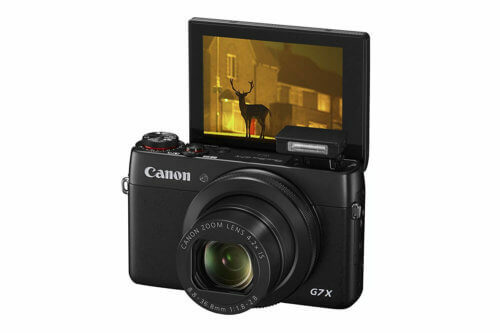 PewDiePie’s, or Felix Kjellberg from Sweden, also has a super famous vlogger girlfriend, and in April 2015, she announced that she was migrating to the Canon PowerShot G7 X from her old DSLR piece. The reason she cited: portability. He describes the experience of using Canon EOS 70D as “a blast to shoot with”. And that should be enough to excite the fans of the funny comedian. A lot of people say that the Canon EOS 70D is arguably the best vlogging camera ever and on the top of our list of vlogging cameras 2016 / 2017. At this point, we don’t really have a good argument against that, Mcjuggernuggets doesn’t either. Faze Rain, the guy who operates the channel TrickShotting made the migration three months after Marzia did. He took to Twitter to announce his new camera – Canon PowerShot G7 X, possibly taking recommendation from her. The lifestyle YouTuber Joey Graceffa who vlogs daily (DAILY!?) used to use Canon PowerShot S100 in 2012. Around that time, Canon followed the model up with the S120, which is again a very good camera. Although Graceffa has not made it clear about his camera model after that tweet in 2012, we have all the reasons to believe that he now uses the Canon PowerShot G7 X. One point that testifies the fact is that Canon discontinued the S100 series, and (rumor has it) released the G7 series as its unofficial successor. The pretty lady Aspen Ovard is into a lot of things – fashion, beauty, lifestyle, and DIY – and to shoot her vlogs she uses the Canon EOS 70D. Mentioned on her website, she uses it along with a Sigma f/1.4 lens, giving you the perfect combination for indoor vlogging. Thanks Aspen Ovard for being transparent, makes it easy for us to emulate. Canon EOS 70D – best vlogging camera ever..!! The product reviewing champion Zoella used to prefer the S120 before Canon stopped supporting the camera. Last year, she told her fans in a video that she had started using the Canon EOS 70D. Similar to how we think Joey Graceffa made the transition, Zoella stuck to the best and went with the DSLR version of the G7 X – the fantastic and the beastly Canon 70D. The vlogger Jenn Im who runs the channel named “clothesencounters” said in 2012 that she uses the Canon Rebel Series Camera. We believe that she is still using it. Amongst her small inventory of cameras, the life hacking Youtuber prefers her Canon Rebel T3i the most(succeeded by the T6i) . 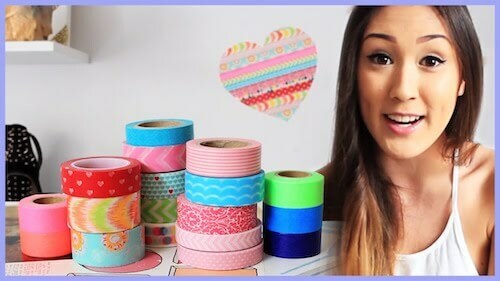 LaurDIY compares it with Nikon and other models of Canon, it gives the best video quality. 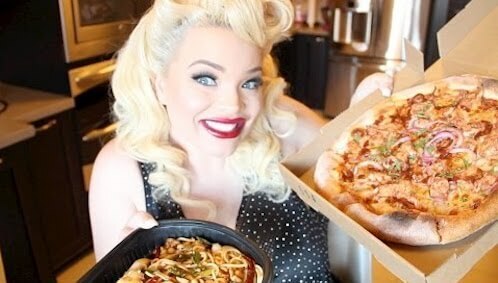 The comedy and lifestyle vlogger Trisha Paytas has been using the Canon Rebel T3i for a record period of seven years. This is enough to give some heavy support to one of Canon’s best camera series (other than the ELPH). Also, note that Paytas uses a lot of different cameras, but the first sentence should be enough for us to understand what makes her go gaga. This is the perfect example of what we talked about in the beginning of the article: good content does not always need an expensive camera. Both thesevlogger channels produce marvelous content; and all that using the Canon PowerShot ELPH 330 HS which is the best cheap camera under 300. Affordability is a good thing after all. 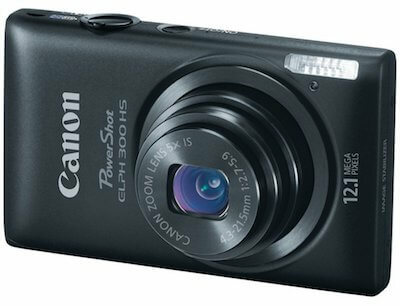 According to their popular blog Blogtard, the folks use Canon PowerShot ELPH 330 HS – this camera is on our list of best vlogging cameras under 200 dollars. Since then, many of Shaytards’s fans have debated whether they use the 330 HS or the PowerShot G7 X. For all that we could find out, they use the former, or maybe both. Either way, both of them are outstanding. Slightly expensive for beginners, Jennxpenn uses the Canon EOS 5D Mark III, which should be bought by people who are dead serious about vlogging. For everyone else, including the fans of the petite lifestyle vlogger, go for the Rebel T5i or the classic 70D. Let’s see a quick rundown again of YouTubers and their cameras. Before we dive into the nitty-gritty, let’s first gain some clarity, and list the top YouTubers cameras that are currently used (or were used) by some of the most inspiring vloggers in the world. These are the best of the best YouTubers, with millions of YouTube followers and billions of views, and when we talk about the best there’s no room for budget or any other limitations. It is sort of a “mixed feeling” that we get from creating this list. Why? The 79-year old Japanese consumer electronics maker is evidently the stalwart of vlogging cameras. It has beaten Sony the A6000, Samsung’s NX Mini (on our list of Top Vlogging Camers with Flip Screen), Panasonic, and middling American brands to come out as the biggest and the most innovative manufacturer of vlogging cameras. This forces us to say it: any camera that has those iconic five letters embossed on it, you know it’s gonna be the shiz. 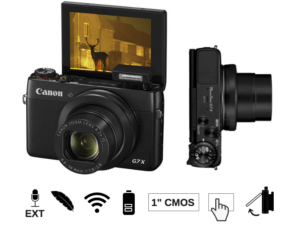 The PowerShot G7 X is the perfect compact camera that is suitable for all types of vloggers – travel, lifestyle, makeup – you name it. It is lightweight, helps in capturing shots from different angles without compromising on the quality, and captures high-quality 1080p videos. These are the reasons why the following users have been using it for years now. Why Is Canon PowerShot G7 X the Best Youtuber Camera? 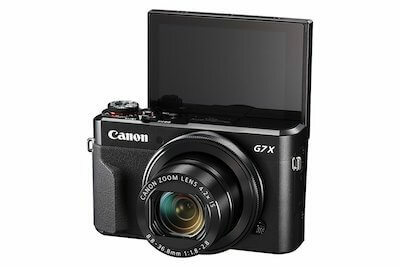 The Canon PowerShot G7 X is considered the best vlogging camera because it packs a punch in its small body and is easy to carry and move around. Among point-and-shoot cameras, the G7 excels in almost all departments, and that is why it is regarded so highly in the vlogging world. So much that it even gives a tough time to mirrorless cameras in the same price range. Flawless 1080p full HD video recording at 30 frames per second (FPS), impeccable sensor and lens, time-lapse feature, slow-motion video, great autofocus, wi-fi, and a flip touchscreen – what more can you ask from an object which can disappear in your pocket? This is a vloggers dream. The only drawback is the lack of a microphone. However, if you are a beauty vlogger who already has an external USB-powered microphone, then the G7 X is the right one for you. 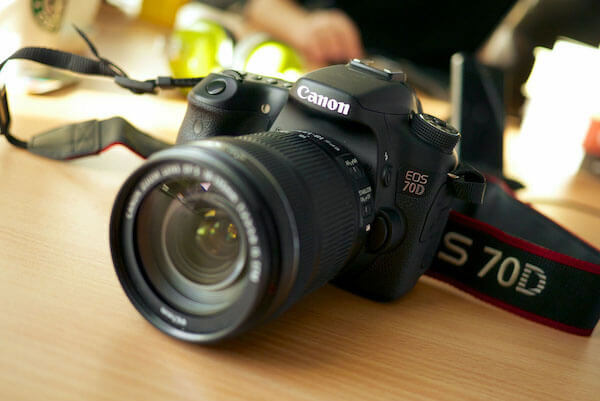 Canon EOS 70D the Best DSLR YouTuber Camera? If you have a slightly higher budget and are currently in the intermediate level of vlogging, then the EOS 70D should be your first and the last choice. There is nothing better in this range, and with all that the camera offers, it should be enough to take care of all your essential vlogging needs. Other than the support for interchangeable lens, the 70D has great low light performance, a very fast autofocus feature, an articulating flip screen for self-recording, and exceptional battery life. If weight and portability are not an issue for you, then the Canon 70D is the best camera for the travel vlogger. Get an extra set of batteries and some lighting equipment, and you are good to go. 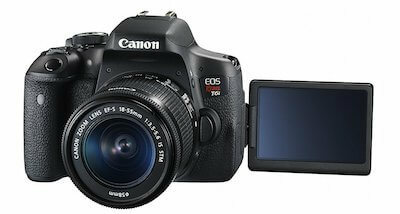 If comparison makes you happy, then the 70D is much cheaper than the all-powerful 5D Mark III. In the future, Vloggers will talk about the Rebel cameras and vlogging meme generators will be use to reminisce the halcyon days of the internet and vlogging. Canon became the de facto manufacturer for YouTubers when it released the Rebel T3i in 2011, when it took the internet by storm. Currently, Canon releases a new version ever year. And as of 2017, the T5i and T6i are the best-selling models. The Rebel line-up, as it seems, was made for video and video only. Along with 1080p video capturing capability, it has a flip screen, a microphone, and the support for all major lenses. It is like Mozilla Firefox, the free internet browser in which the main program is pretty good, but what makes it exceptional are plugins and extensions. The ELPH series is like a distant YouTuber cousin of the Rebel series. 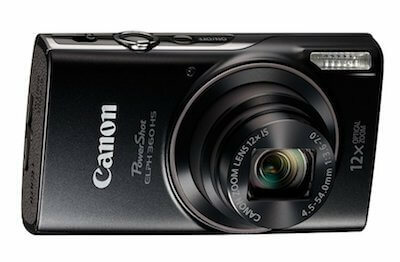 The PowerShot ELPH 330 HS fits in your pocket and gives really nice video clarity. It is perhaps the smallest camera in this list. Canon markets it as the thinnest camera in the world. As far as vlogging is concerned, we will gulp that fact happily. Other than support for 1080p video, it even has optical image stabilization (OIS), which easily makes it one of the top cameras for action vloggers. 10x zoom, very lightweight, and stylish – all that for such a low price – one of the Best Cheap Vlog Cameras. Think of an adjective that you would normally use to describe a lion in a forest. Now, take the 5D Mark II and call it with that adjective. It will produce great quality videos for you, and that too with a roar. Few years ago, it was indie filmmakers’ collective favorite, so you can easily understand why it is called the king of YouTube vlogging. 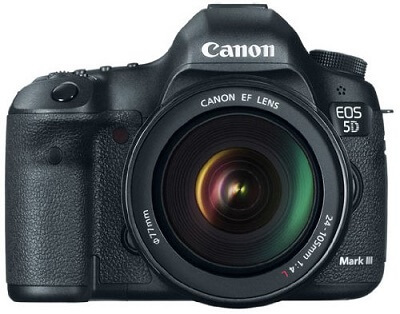 Why is Canon EOS 5D Mark III the Best Expensive Vlogging Camera? Its price is on the heavy side, we know. But, you cannot complain when you get the following: best autofocus feature in this list, fantastic low light performance and added support for night-time shooting, bigger sensor than the T6i (we are not kidding! ), environmentally sealed outer covering for those rough adventure trips, electronic viewfinder, and a comparatively brilliant battery life. If none of these have succeeded in charming you, then how about this: the 5D Mark III is the only camera that is capable of capturing the largest number of colors. 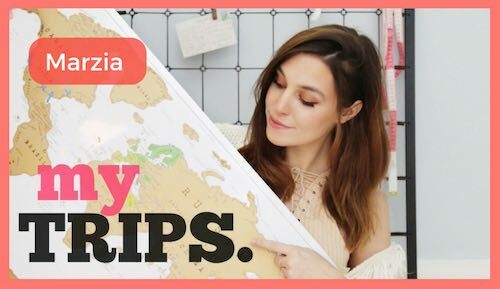 Perfect for beauty vloggers and adventure YouTubers, this one is like a dream come true. The only problem is that this dream is a bit expensive. We have reached a time where even 4K is considered “meh” by YouTubers. Although there are people like Sean Baker (filmmaker) and Casey Neistat (as a vlogging enthusiast, you should know who that is by now) who have created works using their iPhone cameras, one should still consider investing in a good old camera that is tailored for vlogging purpose. What differentiates such a camera from a normal one is a series of features like fine low light performance, optical image stabilization, flip screen, and built-in mic among others. The most famous YouTubers live by these above four features – a reason behind the sameness in their camera models as we closed 2016. Today, in this article, we are going to dig deeper into these “certain few camera models” and discuss why they are what they are. We will discuss a lot of things like what makes these specific models so good that the top vloggers use them, what defines their greatness, what are their unique features, and lastly, how they can help you become a better vlogger. With so many camera models to choose from, we understand when readers reach out to us with their questions about the best vlogging camera that is most suitable for their purpose. In order to help you all make better and faster decisions, we created this article after a thorough research. We hope it will help you in your quest to become a spirited and successful vlogger. Here is to a great 2017 from VloggingHero.